I know this isn't makeup or beauty related but I wanted to review this! So the swimsuit I bought is from New Look www.newlook.com. I bought it for my break away to Centre Parcs Elvden forest in November. Going to see the fireworks with the boyfriend and family. Plus, the new ride should be open too by then (fingers crossed) - YAY! I thought I'd buy some sort of swimwear sooner rather than later, as I feel that bikinis and tankinis are not flattering on me at all. I wanted a swimsuit that was still pretty and girly - which was actually quite hard to find! 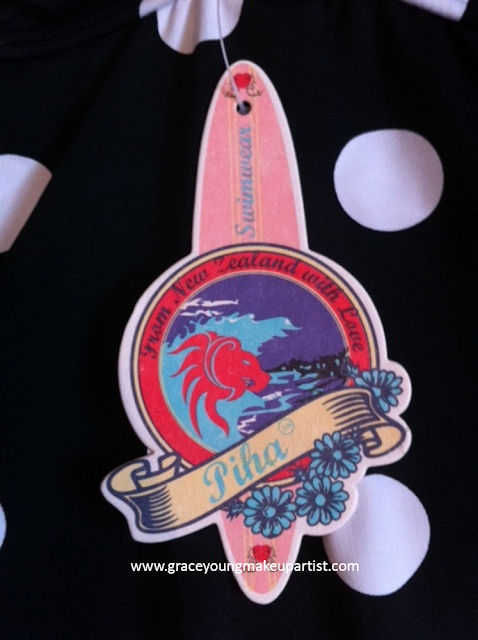 The brand is called Piha and can be found online at New look. I bought this for £47 including delivery. It arrived within 3 days, which was quite quick considering the Olympics is on at the moment. It also has removable pads around the bust (personal preference). 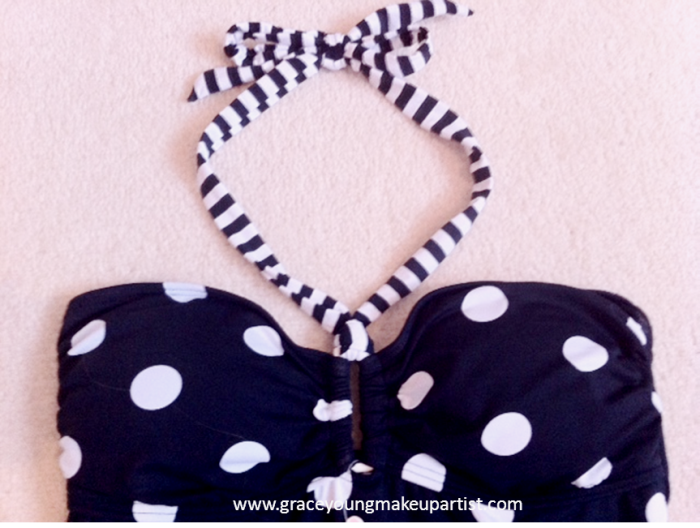 The first thing that I liked about this swimsuit was the pattern, navy with white dots. I always think navy goes well with blonde hair so this was a bonus! I also like the stripes around the neckline, which contrast nicely against the dots. Sailor-looking! It's actually quite slimming too, which was one of the factors I was looking for when purchasing. So for any body self concious people out there like me, this is a great buy! Hope this was useful for anyone looking for swimwear!